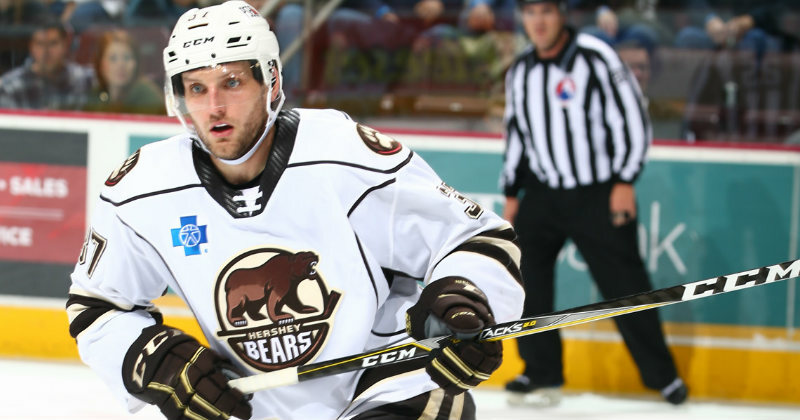 03/14/2019 - The Hershey Bears announced today that the club has signed defenseman Joey Leach to an American Hockey League contract for the remainder of the 2018-19 season. Leach has been assigned to Hershey's ECHL affiliate, the South Carolina Stingrays. The 6-foot-4, 205-pound Saskatchewan native returns to South Carolina where he serves as team captain. With the Stingrays this season, Leach collected 20 points (two goals and 18 assists) and 53 penalty minutes.